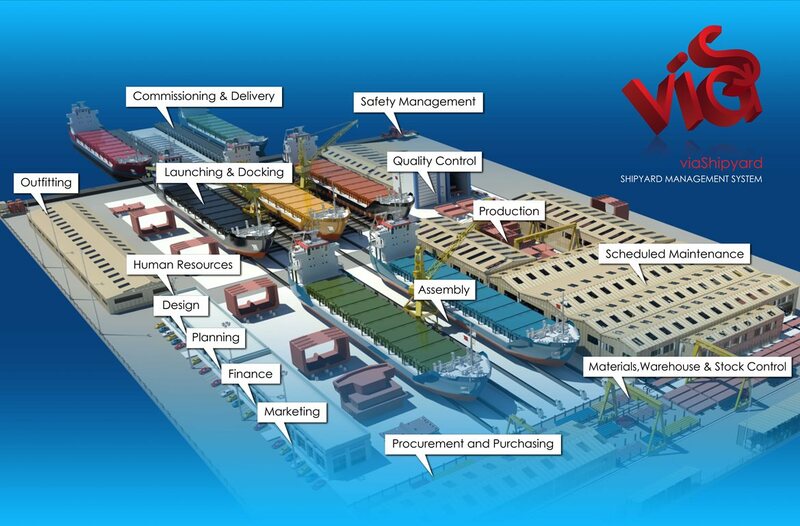 “Viashipyard” is a Shipyard Management System Software which was developed by our business partner who is an experienced ERP programmer. 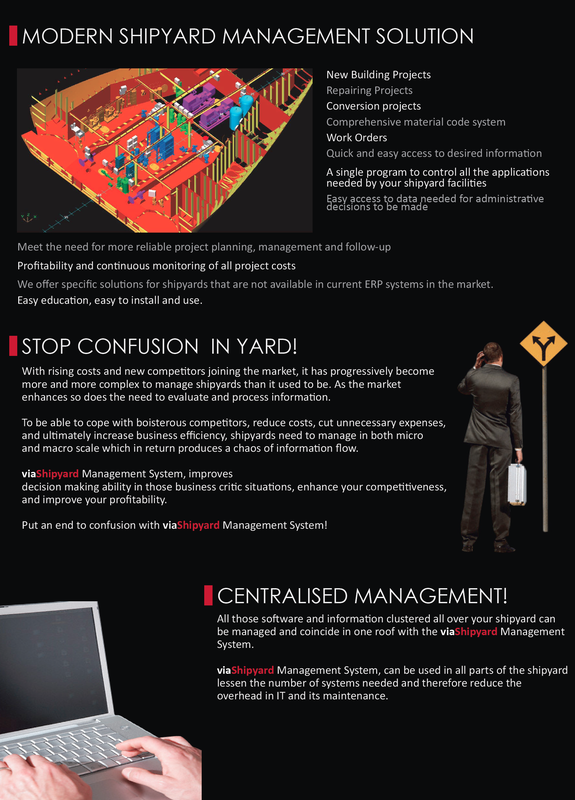 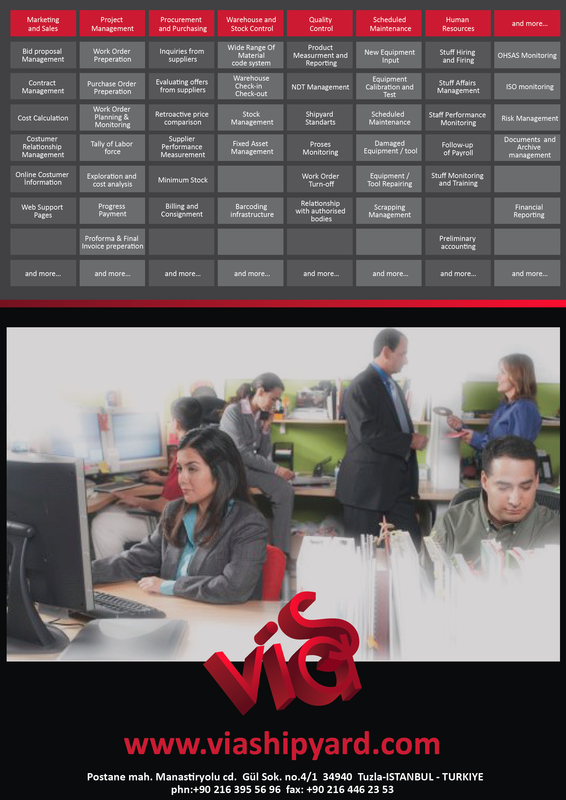 HS Marin supports “Viashipyard Software” by using its sectorial experiences, knowledge and business practices. 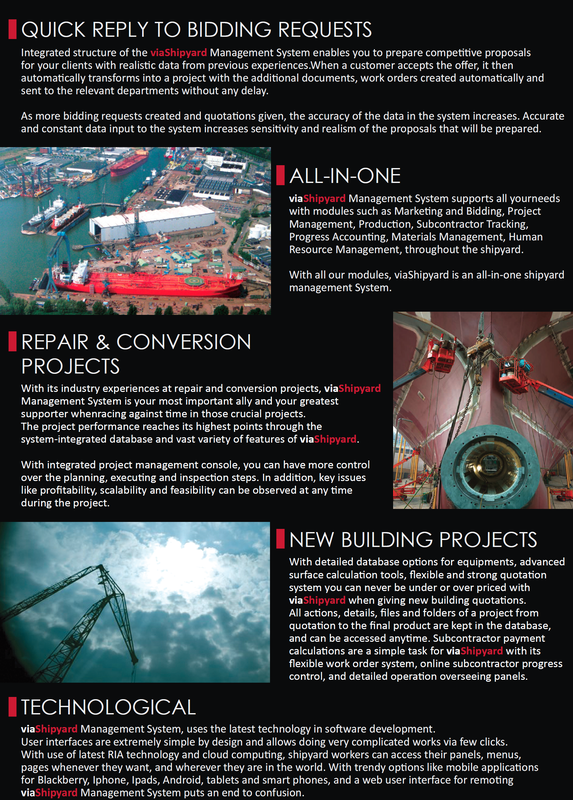 “Viashipyard” offers practical and reliable software solutions to Shipyards who perform Ship Building and Ship Repairing activities at the same time.